Some of us spend a fair amount of money on supplements to keep us well but are you getting what you pay for? Are the minerals in forms that your body can absorb such as citrate, glycinate, or another chelated form (not oxide, carbonate, sulfate which are poorly absorbed by the body)? 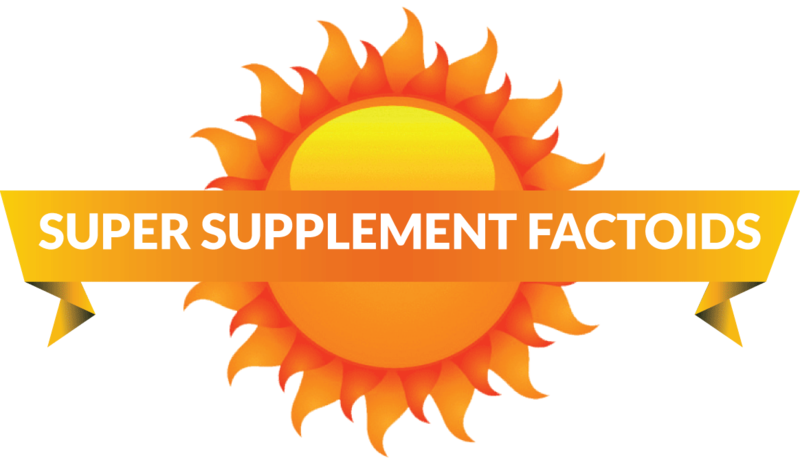 Vitamin D should be the more easily absorbed D3 as opposed to the cheaper and synthetic D2. Vitamin E should be mixed tocopherols and even added tocotrienols if possible. How do you know if E is synthetic? Look for an “l” after the D such as Dl-alpha tocopherol. The natural form would be D-alpha tocopherol. Studies show the synthetic form to be useless and possibly even harmful. Is the nutrient in an amount that is useful or is it what I call pixie dust – enough so they can put it on the label? Artificial colors, flavors, and dyes should be avoided. Why do you want to give you body more work to detoxify these non-foods? Fillers such as propylene glycol (think antifreeze!) are not in there for your health. They are in there for economical purposes – so they can run supplements through the machines faster. Time is money. Some supplements even contain artificial sweeteners! Natur-Tyme carries only high-quality supplements and you won’t find any of these ingredients in our Natur-Tyme brand. Speaking of that, our Natur-Tyme brand of supplements is a superior line. They are from GMP-certified labs that are FDA-approved, and you won’t find any “junk” in them. I use them myself because I know they are top-shelf. So don’t waste your money buying substandard supplements that aren’t doing you any good. If you can’t afford a quality vitamin, mineral, or herb, do your body a favor and wait until you can get a good one. Modern scientific studies have supported the use of zinc for boosting immune function, reducing infections, decreasing the occurrence of diarrhea, and removing toxic metals from the body. A research review published by Indian researchers earlier this year identified eight more reasons we may want to consider taking zinc: it acts like an antidepressant; it might help regulate blood pressure; it might help prevent zinc deficiency common in those with liver diseases; zinc supplementation during pregnancy may help prevent maternal morbidity and prolonged gestation; it may help prevent several risks associated with diabetes such as coronary artery disease and hypertension; it helps balance the endocrine system in geriatric patients; it may help with wound healing; lastly, it may shorten the duration of severe pneumonia. Comp Rev in Food Science and Food Safety.July2014;13:4:358–376. Saw Palmetto is an herb typically associated with alleviating issues associated with benign prostatic hyperplasia (BPH). It is widely used in many formulas for prostate health along with a variety of other compounds such as: stinging nettle, lycopene, green tea, selenium, zinc, vitamin D3, phytosterols, and pumpkin seed oil. BPH is a nonmalignant enlargement of the prostate. The enlargement of the prostate leads to a narrowing of the urethra. Common signs and symptoms of BPH include: decreased force and stream of flow, dribbling after urination, increased frequency of urination, increased nighttime urination (nocturia), and occasionally painful urination (dysuria). How do they believe that saw palmetto works? It is believed that the liposterolic (fat-soluble) extract of saw palmetto berries induces inhibition of DHT (dihydrotestosterone) binding to prostate cellular receptors, inhibition of 5-alpha-reductase, and interference with prostate estrogen receptors. Most experts believe DHT to be a major factor in the cause of less-than-optimal prostate health and prostate enlargement. Testosterone is metabolized in your body to DHT, and the enzyme that is responsible for converting testosterone to DHT is called 5-alpha-reductase (Eur Rev Med Pharmacol Sci.May 2012). Many clinical studies over the years (30-90 days in length) have demonstrated a significant difference in urine flow, volume voided, dysuria, nocturia, etc. after taking saw palmetto. They have also seen that roughly 90% of men that have mild-moderate BPH feel some improvement in only four to six weeks! More recent clinical studies have observed saw palmetto’s use from six to around twelve months. In a relatively recent study, researchers compared saw palmetto 320 mg/day (Permixon) to the drug Proscar at 5mg/day. There were similar decreases in many of the symptoms of BPH, but saw palmetto did not have the side effect of erectile dysfunction that the drug did. Another similar study using saw palmetto and nettle root (Prostagutt forte) and the drug Proscar came up with similar findings. There are no known interactions with this herb, but note that most of the clinical trials excluded men taking diuretics, alpha blockers, and anticoagulants. Possible side effects are mild gastrointestinal disturbances. NOTE: Because saw palmetto is used for mild to moderate BPH stages I and II, it is contraindicated with advanced BPH. BPH should be diagnosed by a certified healthcare practitioner or physician. Recommended use is to take 320 mg of saw palmetto berry extract (standardized to 85%-95% fatty acids and sterols), all at once or in two divided doses with meals. Use at least six months to determine its effectiveness. Black cohosh is an herb that is mainly associated with assisting hot flashes. I have numerous clients using black cohosh per their doctor’s, friend’s, sister’s, television, etc. recommendation. I have seen that it works for some… and not for others. Black cohosh is typically used for a wide variety of women’s health conditions related to menopause. It has emerged in the last 25 years as the most-studied herbal alternative for menopause to use in place of hormone replacement therapy (HRT). There have been approximately 100 studies on its use with menopause resulting in mixed reviews, particularly related to its efficacy in alleviating hot flashes. Despite two negative studies in 2006, most study findings and anecdotal evidence show its effectiveness for hot flashes, mood swings, and sleep issues. The jury is still out on how exactly it works. Early studies found it to have estrogenic activity; however, more recent studies have demonstrated that it does not have phytoestrogens in it. More recent theories are that it has an effect on serotonin levels. I have seen many of my clients that had been put on antidepressants from their doctor solely for ameliorating hot flashes, and it works for many. However, these meds have other side effects and are difficult to get off once on them. So if black cohosh has this ability to inhibit serotonin reuptake, this may be how it helps decrease hot flashes. Very occasional adverse side effects are gastrointestinal discomfort, headache, nausea, vomiting, and vertigo. The average recommended dose of standardized extract is 40-80 mg per day. The dosage used in most clinical trials to date is 20-40 mg of the standardized extract twice daily. Standardized liquid extract ½-1 tsp twice per day. Results are usually seen within four weeks. Black cohosh can be used safely with hormone therapy if one is on HRT, and lower doses of HRT can be achieved along with black cohosh.